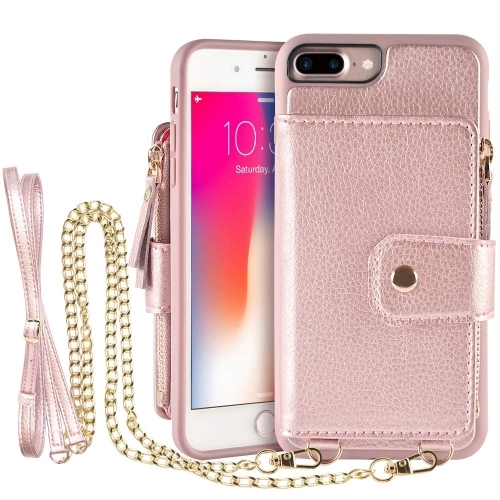 iPhone 8 Case Zipper Wallet, iPhone 7 Leather Case with Kickstand, LAMEEKU Shockproof Apple 7 Credit Card Holder Slot cases, Protective Cover for Apple iPhone 7 (2016)/iPhone 8 (2017) 4.7"
【iPhone 7/8 SLIM WALLET CASE】: ONLY compatible with Apple iPhone 7/8 4.7 inch. 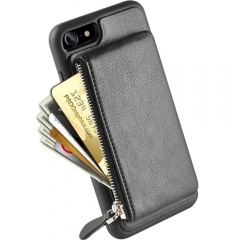 【ZIPPER WALLET FUNCTION】: Huge space for 10+ cards (credit cards, IDs), 10+ cashes, coins or keys. 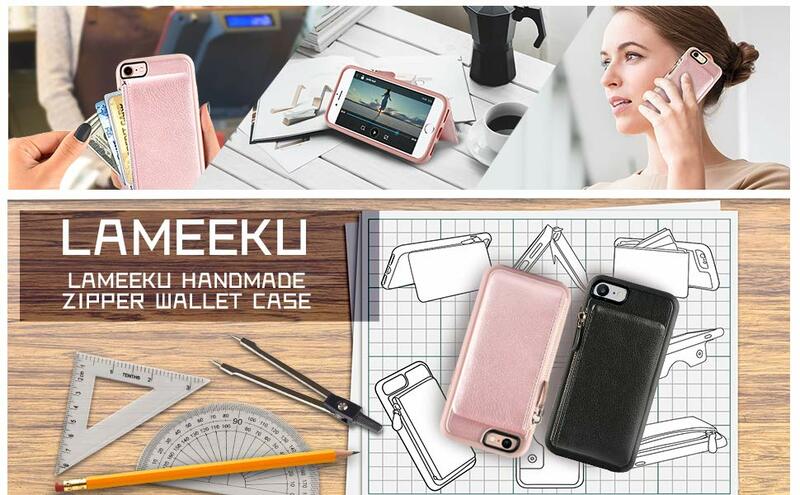 Large capacity but ultra slim, so easy to put it into your pocket. 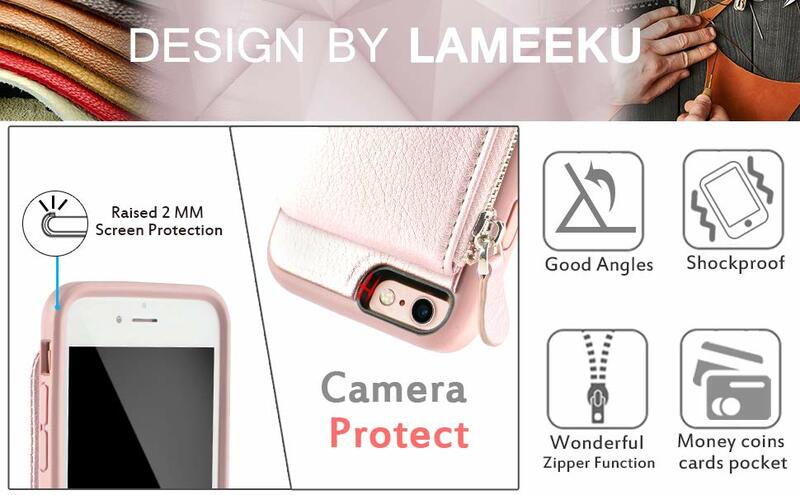 【FULL-FRAME PROTECTION 】Raised edges and a TPU lip to keep the screen from scratching or touching the ground. The covered raised buttons and cut-out for the speakers, ports, back camera and mute button are perfectly fit the iPhone. 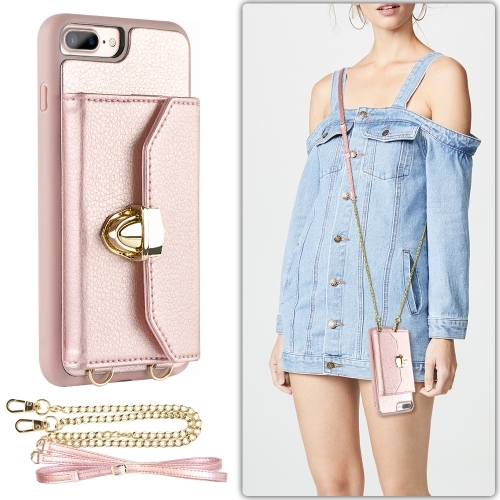 【HAND-CRAFTED LEATHER CASE】: Made from soft leather texture and TPU. 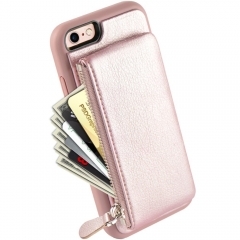 100% HADNMADE craftmanship and reinforced stitching makes it even more durable. 【100% SATISFACTION LAMEEKU BRAND GUARANTEE】180 days warranty LAMEEKU brand guarantee. If you meet any question, please contact us, we will fix your issue within 12 hours.